Good morning ... Scientists have discovered a “Super Earth” orbiting a nearby star. Well, "nearby" by space standards. It’s about 30 trillion miles away. More immediate news: We interview Tim Cook, Elon Musk and Bill Gates in the tech-heavy final two episodes of “Axios on HBO,” airing the next two Sundays at 6:30pm. 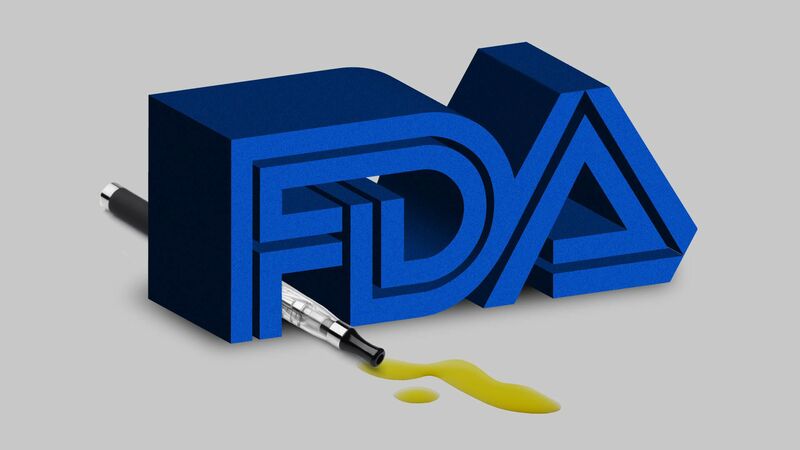 I'm not the first person to see the Food and Drug Administration's hard line on e-cigarettes as a miniaturized "only Nixon could go to China" kind of situation: This is a conservative administration, with a conservative FDA commissioner, pursuing an undeniably strict regulatory crackdown. After all, FDA Commissioner Scott Gottlieb is expected to announce today a ban on menthol flavoring in cigarettes — an idea I covered back in 2009, when Democrats, in control of the House, Senate and White House, proposed it as part of the law that gave the FDA jurisdiction over tobacco products. That bill ended up banning flavored cigarettes, except for menthol. Vaping wasn't a thing yet. But the FDA now appears prepared to come down hard on flavored vape products and menthol cigarettes. So, what changed? Juul's unparalleled popularity with teens — vaping is up 77% over the past year among high schoolers — all but forced the FDA's hand, my colleague Caitlin Owens reports this morning. Walmart is requiring employees to travel to specific, well-regarded hospitals for spinal procedures, in a bid to cut down on its health care costs, the Wall Street Journal reported yesterday. Details: Walmart is paying for surgery at some big-name systems, including the Mayo Clinic and Geisigner, while slashing what it will pay closer to employees’ homes. Adding the extra hurdle has helped cut down on unnecessary procedures, for which physical therapy might be just as effective, per WSJ. Of course, it’s also a big hoop to jump through for employees who are in pain and legitimately need surgery. Flashback: Walmart previously tried to excise the lowest-quality providers from its health care network, but was thwarted by hospitals’ all-or-nothing contracts. The big picture: If the country’s biggest private employer is having this hard of a time driving high-value care, that’s not a great sign for the rest of us, or for the system as a whole. The Affordable Care Act’s insurance marketplaces will be more competitive next year than they were this year, according to a report yesterday from the Kaiser Family Foundation. Yes, but: 2018 was the low point for ACA competition. The marketplaces still aren’t back to where they were in their best years — 2015 and 2016, when only a handful of ACA customers didn’t have a choice of insurers. By the numbers: Insurers started bailing on the exchanges in 2017 and continued in 2018, leaving more than a quarter of ACA customers with only one available insurer. Now that’s down to 17%. But there’s a long way to go before the competition is healthy again. ACA enrollment, meanwhile, continues to lag noticeably behind last year's pace. A little less than 1.2 million people have selected insurance plans through HealthCare.gov in the first 2 weeks of this open enrollment period — about 300,000 fewer than in the first 2 weeks of the last enrollment season. Last year's "first 2 weeks" update included an extra day from this year's. But that alone does not explain such a steep drop. Pfizer’s newest biosimilar drug, Retacrit, has hit the market, and the company is touting the its lower price compared with competing anemia drugs, like Epogen and Procrit. Retacrit’s list price is 34% lower than Epogen and 57% lower than Procrit, a Pfizer spokesperson said. However, the list price does not factor in rebates and discounts, and the spokesperson would not comment on specifics. The bottom line: The drug has a lower list price, which is helpful for people who are uninsured or pay coinsurance on a drug’s list price. But we have no idea whether this biosimilar will lead to tangible net savings, because of the opacity of the rebate system. This is a major question mark surrounding biosimilars. Some 20 people die every day waiting for organ transplants, and many improvements to our daily lives — like safer cars and longer life expectancy — will likely make that problem worse. But scientists are pushing hard toward a solution: Genetically modified and wildly inbred pigs. "Pigs have been quietly insinuating their way into our bodies for some time now," the New York Times Magazine writes in an in-depth profile of the scientists working to engineer pig organs into a suitable replacement for human ones. Pigs' organs contain antigens that the human body naturally tries to fight, so we often reject unmodified pigs' organs. But scientists have modified a breed of pigs to remove the problematic PERV gene. Yes, it's really called the PERV gene. With that taken care of, biotech money has flowed in, and one company's strain of pigs "were used by a team in Maryland to keep a pig heart beating in a baboon for 945 days." What's next: "The first pig-to-human skin graft using live cells is set to take place this month in Boston," the NYT reports, and an upcoming clinical trial "will install ... pigs’ kidneys in dialysis patients who are unlikely to be considered for human-donor organs."